The first step is to determine whether using a Tampa collaborative divorce lawyer is beneficial under your circumstances. Collaborative Divorce is where you attempt to reduce conflict and reach an agreement out of court. To have a need for a collaborative attorney, you will usually have issues concerning time-sharing and custody of children, child support, alimony and property issues including real or personal property, as well as retirement accounts and you believe you can come to an agreement. If you are looking for an experienced, highly rated divorce law firm in Tampa Bay whose attorneys are well versed in collaborative law, then look no further. We offer a free consultation to discuss your situation with one of our knowledgeable Tampa divorce attorneys who can advise you as to whether or not you have a need for or will benefit from collaborative divorce. Each of the parties are required to find an attorney who practices in collaborative law and each party will sign a retainer agreement stating in essence that you will work out the terms of your divorce without litigation. A collaborative divorce does not only involve an attorney(s), it also involves a “team” including, but not limited to, mental health coaches, financial experts, family therapists, accountants who work together to resolve disputes. 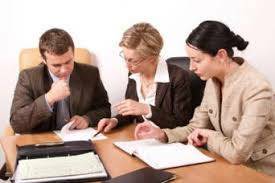 With your professional team’s guidance, you can hopefully come to an agreement on all aspects of your divorce. However, if you are unable to come to an agreement in a collaborative divorce, you will not be able to continue with your collaborative attorney if litigation is required. This can be expensive and time consuming and may be unnecessary if you do not have a need for “team” of professionals to help you resolve the terms of your divorce and you do not want to change attorneys if you cannot agree. If the negotiations are unsuccessful both attorneys must withdraw and new attorneys for both sides must be retained. It can be expensive and time consuming and you may not have a need for a team of professionals to help you resolve your issues. You can work with an attorney who is not a collaborative law lawyer to come to an amicable solution either between the parties by Marital Settlement Agreement or through mediation. Even if you can resolve some of the issues in your divorce, there will remain issues which will have to be litigated to be resolved and you must retain a new attorney. Those who are financially able, who have complicated issues and who believe they can resolve them with an attorney and other professionals, will benefit in the collaborative divorce environment. This is an option for parties who have, may or will agree upon all aspects of their divorce. One of the parties may hire an attorney to prepare all of the documents and file the case with with or without a Marital Settlement Agreement. The other party may hire an attorney if necessary to represent him or her in the process or to review the pleadings and agreement. However, it is not always necessary to have two attorneys, although each attorney can only represent one of the parties and not give legal advice to the other. If the parties cannot agree before their case is filed, then they may be able to come to an agreement after the divorce petition is filed. If the parties cannot agree, then they will attend mediation with their attorneys to attempt to come to an agreement. Mediation is very successful if the parties cannot otherwise come to an agreement. In addition, if some or all of the issues cannot be agreed upon, then, unfortunately, it will be up to the judge to decide the outcome. Contact Tampa Collaborative Divorce Attorneys at All Family Law Group, P.A. We are experienced, responsive and knowledgeable and we will help you through the divorce process and to resolve your issues without the necessity of litigation, unless absolutely necessary. And if necessary, we are very competent to handle your litigation to obtain the best possible outcome in your particular case. Begin the process now. If you have questions regarding any of the areas of law in which we practice, contact the Tampa divorce attorneys of All Family Law Group, P.A. We strive to provide to the best representation possible. Contact our firm online or call 813-672-1900 for a free initial consultation.